15 minutes west of the island of Montreal. 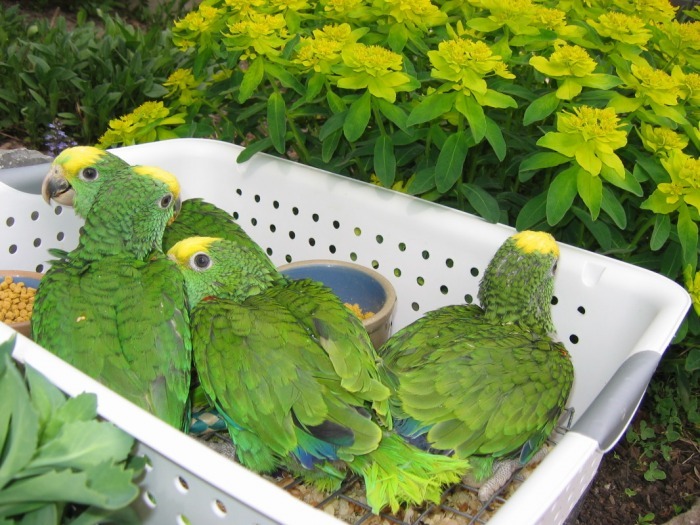 We have been breeding since 2002 and specialize in Double Yellow Headed Amazons. Because we are small, we have the time to raise our babies in a family environment with lots of interaction and socialization. 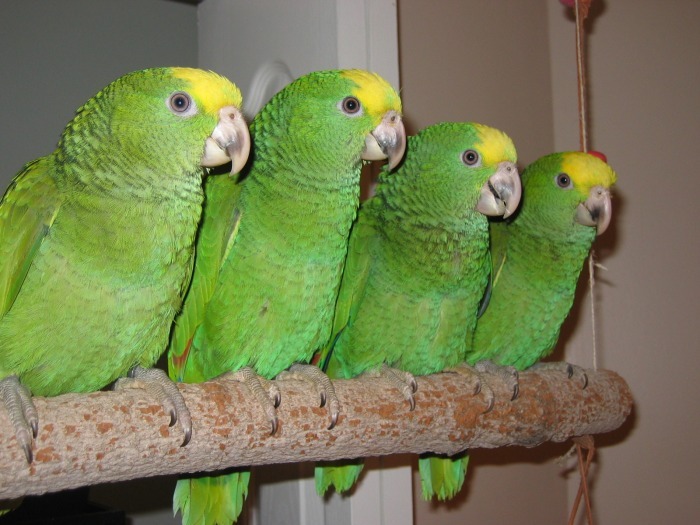 Our flock consists of our two pet DYH Amazons and 1 breeder pair. They reliably give us 3-4 beautiful babies a year in the spring that are available for homes in the summer. 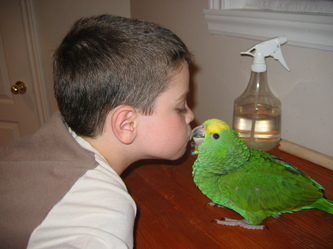 Our babies are living across Canada, from coast to coast.